Check out the writeup at Game Informer! 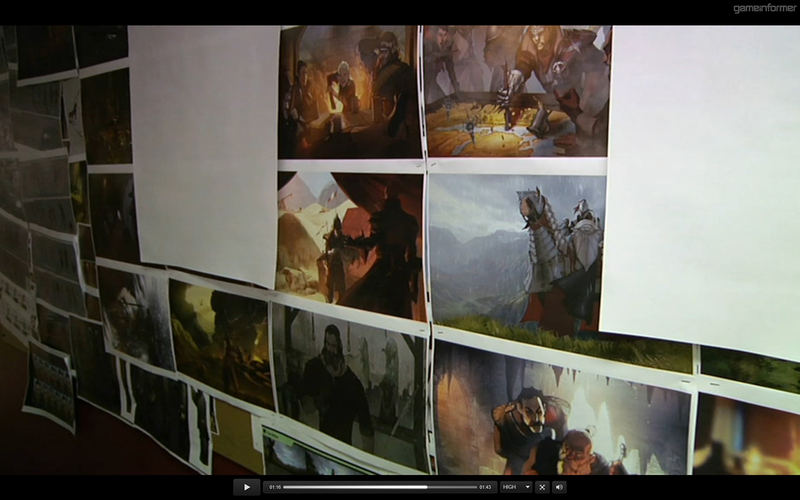 There's a 1 second shot of this wall of beat boards (with the more spoilerific images blanked out with high-tech paper). 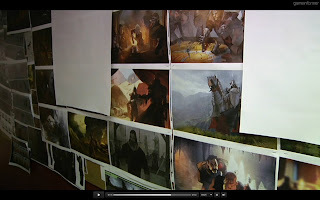 I think this may be the most DA:I concept art that's been show to date and it's gone in a blurry blink. The video is well worth watching. We're getting very excited over here. as soon as i opened the new game informer and saw your art i got excited for inquisition... even though ive never played the other games... you have powers sir.